WakeMate is a sleep phase alarm clock that can wake you up during one of your light sleep phases and in addition offers extended analysis of your sleep patterns. After my first experience with a simple iPhone app for sleep tracking I found it quite interesting to gain deeper insights into my sleeping habits with this dedicated tool. Sleep phases correlate with subtle body movements and can therefore be analyzed with a scientifically proven method called actigraphy. Its main principle states that comparatively higher body activity indicates light sleep phases, whereas less movement indicates deep or REM sleep. 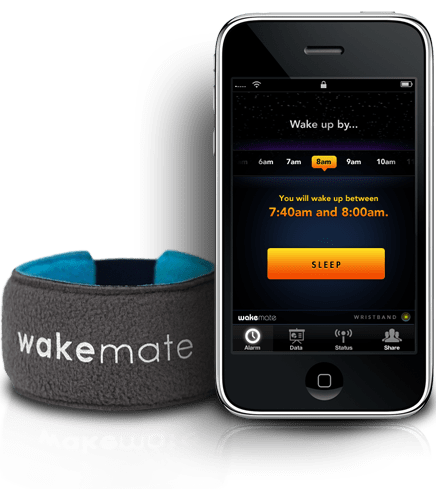 WakeMate comes with an armband, which detects these movements and a mobile application that interprets this information and works as a user interface for the sleep phase alarm clock. By monitoring your sleep activity, this app detects light sleep phases and – within a given timeframe, which you can set for when you intend to wake up – will alert you with a charming alarm tone at just the right moment. After waking up, you are informed of your sleep score, which is calculated comparing the length of your awake, light sleep and deep sleep phases. So far, it has really worked well for me. The alarm has always gone off either when I was already waking up, or when I was just about to turn over for a little more sleep. Even though I’ve never had problems getting up in the morning, this product can definitely help make waking up in the morning easier and less stressful. In addition to being a sleep phase alarm clock, there are some other exciting features that WakeMate offers for the lifehackers among us. 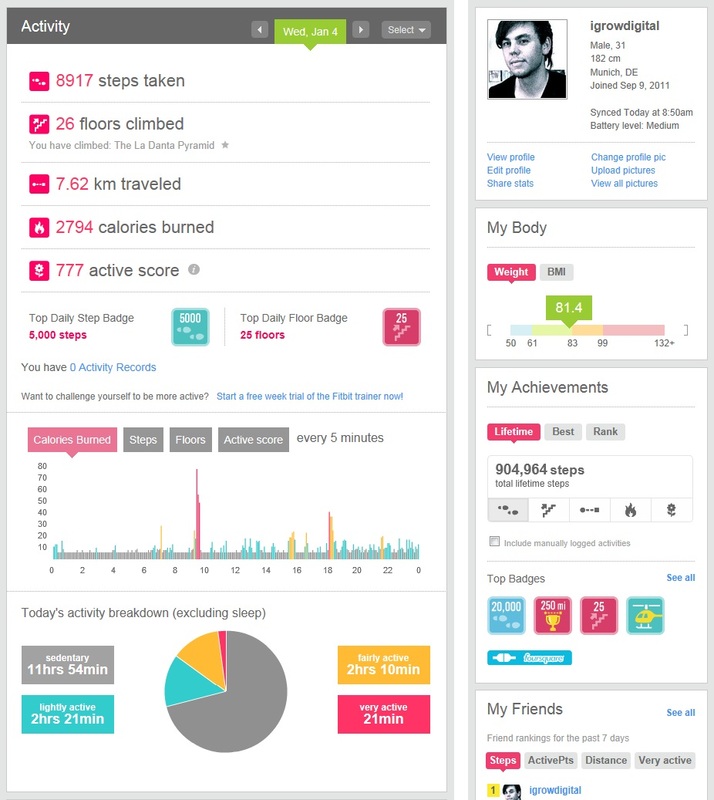 Straight from your mobile app, sleeping stats are uploaded to your free and personal profile on WakeMate’s website. There, you will get a detailed overview of your sleep score, which is projected over such variables as length of sleep, day of the week or the time of day that you went to sleep. Identifying the right circumstances for a higher sleep score might then be used to improve sleep quality. Other stats show sleep frequency based on sleep length, sleep or wake time. All in all, this gives you an outstanding representation of your general sleeping habits from any perspective you find most helpful. One of my favorite features about WakeMate is the possibility to create several tags in order to analyze the quality of my sleep under varying conditions. I had a great time collecting a load of data and testing how my sleep quality would vary depending on differing influences such as stress, relaxation, social activities, late work nights or a few drinks. The results were actually quite surprising. Contrary to my expectations, my sleep scores turned out to be the highest when I had drunk lots of coffee that day or enjoyed working late into the night. On other nights, when I could unwind by spending some quality time with friends or while watching a movie, my sleep scores actually sunk. Maybe these results are based on the deep satisfaction the great work my team and I are doing gives me, or it just means that the short-term analysis over 50 nights doesn’t provide a solid enough database. As I extend this analysis long-term, I will keep you updated on the further results. Does WakeMate help improve sleeping habits? Being an early bird type, I have never had trouble getting up in the morning, but still I enjoy using WakeMate as a pleasant way to start my day. 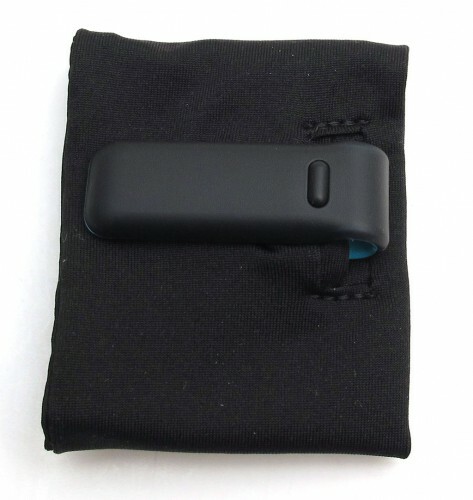 I see the product’s main potential for improving sleeping habits in its analytical functions. Using WakeMate on a regular basis leads to a rich dataset. As the number of monitored sleep phases grows, the reliability of the data interpretation regarding different sleep circumstances will rise correspondingly. In the long-term, I expect this to produce some deep personal insights, which might be used to optimize sleeping quality. 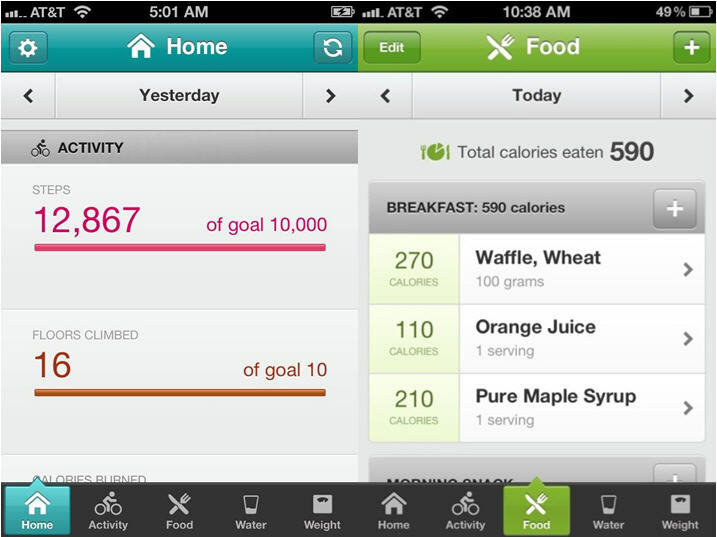 WakeMate’s mobile application is available for iPad, iPhone and Android. I am currently using it on my iPad, which is most convenient for entering tags. Right now I’m testing WakeMate and Zeo in comparison -stay posted for the results! Do you often feel tired? How long and how well did you sleep int the last days and when do you usually got to bed? In order to get answers to theses questions for myself, I analyzed my sleeping habits with an iPhone app called Sleep hygiene. 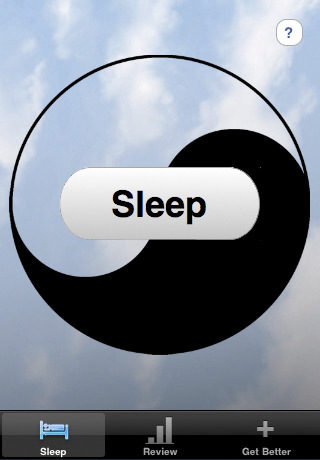 All you have to do is press a button when going to sleep and again after waking up. As you can track several sleeps a day, this will work for those of you who are into naps as well. After a few days you get stats on your average sleep length and bed time. I was really surprised with the results, which were kind of different from what I expected and recommend this to everyone who wants to find out some more about his sleeping habits. Sleep hygiene offers additional features such as tips on sleep improvement and suggests your optimal wake-up times based on biorhythm. Also, you might analyze your sleep stats in order to find out your optimal sleep-length and bed-time. If you want to get more into details, there are sophisticated tools for sleep tracking. 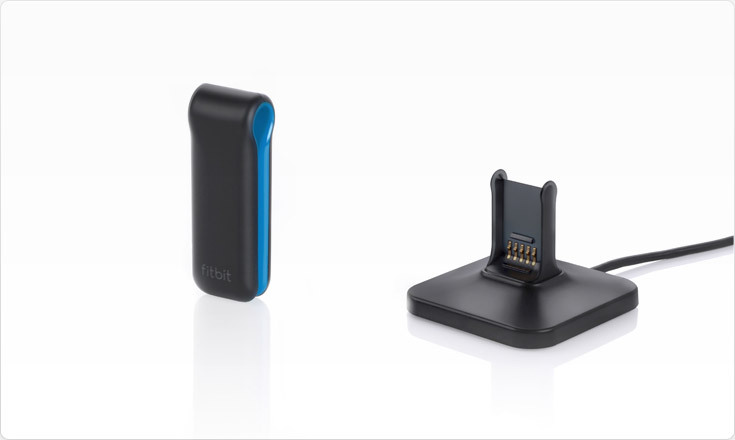 Using biosensors, you can measure data like body movement or brain activity, which allow monitoring sleep-length detailed into different sleep phases like REM or light sleep. Right now I’m testing WakeMate, Fitbit and Zeo to track my sleep. Watch out for in-depth reviews and comparison.